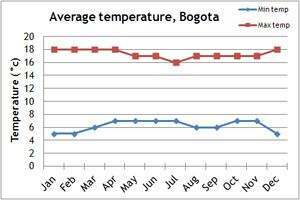 Our climate charts will give you an idea of the weather conditions of Colombia. 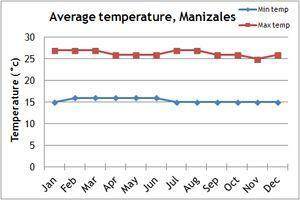 Due to it's proximity to the equator, the temperature in Colombia only varies a little throughout the year. 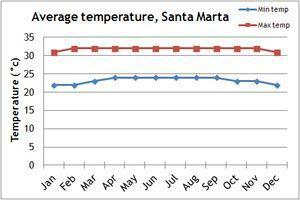 The temperature is more greatly influenced by the altitude. The altitude also affects the difference between day and night time temperatures, with there being an increased difference as the altitude increases. The best time to visit Colombia is during the main dry season, from December to March, with the Andean region also experiencing a shorter dry period between July and August. We've organised our group holidays to depart at this time, to take advantage of the best weather. 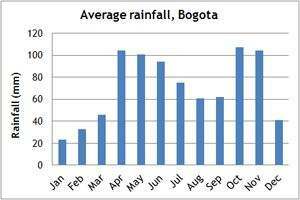 The Amazon region is generally wet all year around. If you can't make the dates of our group departures, then take a private departure on dates to suit you, or we can create a Tailor Made holiday to Colombia, especially for you and your family or friends.